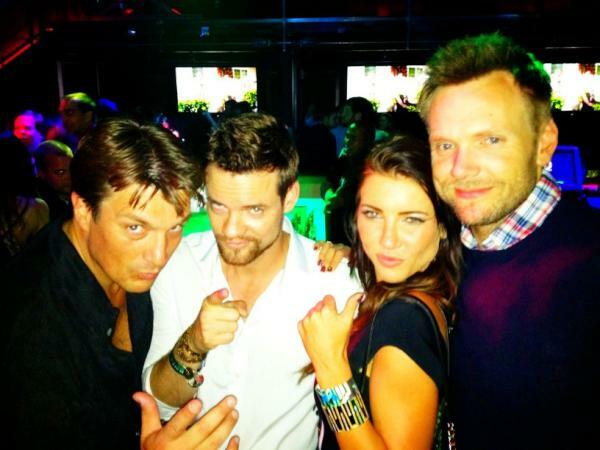 Nathan Fillion with Shane West & Joel McHale at Comic Con 2012. . Wallpaper and background images in the Nathan Fillion club tagged: nathan fillion joel mchale shane west comic con 2012. This Nathan Fillion photo might contain demoiselle d'honneur and demoiselle d’honneur.